1. Grease and line a 23cm springform round tin. Preheat the oven to 180ºC/gas mark 4. 2. In a large bowl, whisk the egg whites and salt until stiff but not dry. In a separate bowl, beat the butter and Nutella together, and then add the Frangelico (or whatever you're using), egg yolks and ground hazelnuts. 3. Fold in the cooled, melted chocolate, then lighten the mixture with a large dollop of egg white, which you can beat in as roughly as you want, before gently folding the rest of them in a third at a time. 4. Pour into the prepared tin and cook for 40 minutes or until the cake's beginning to come away at the sides, then let cool on a rack. 5. Toast the hazelnuts in a dry frying pan until the aroma wafts upwards and the nuts are golden-brown in parts: keep shaking the pan so that they don't burn on one side and stay too pallid on others. Transfer to a plate and let cool. This is imperative: if they go on the ganache while hot, it'll turn oily. 6. In a heavy-bottomed saucepan, add the cream, liqueur or water and chopped chocolate, and heat gently. Once the chocolate's melted, take the pan off the heat and whisk until it reaches the right consistency to ice the top of the cake. Unmould the cooled cake carefully, leaving it on the base as it will be too difficult to get such a damp cake off in one piece. 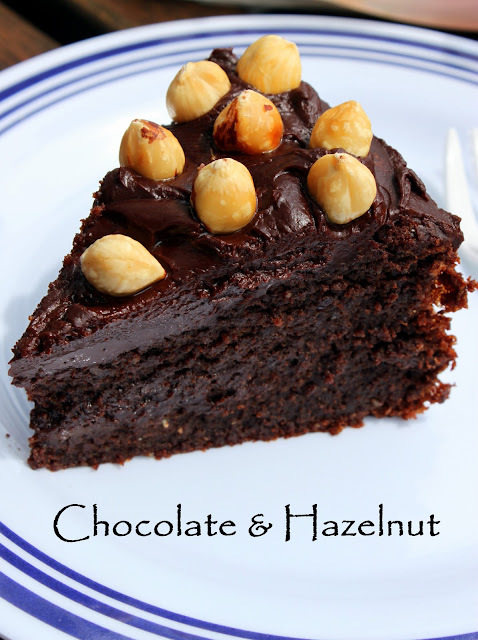 7.Ice the top with the chocolate icing, and dot thickly with the whole, toasted hazelnuts. If you have used Frangelico, put shot glasses on the table and serve it with the cake (this is optional, of course). I endeavour to one day give some of these pairings a try in my kitchen - if only there were more time for cooking in life! But tell me readers, have you ever tried any unusual flavour combinations with chocolate? And were they successful? This has been on my list to bake for forever! I have some nutella that needs using up too! Since I'm buying up at Costco on Sunday! I just love this recipe!! I can just imagine the hazelnut-ty goodness. Chilli and chocolate is definitely my absolute favourite - better if there's some sea salt flakes added in!! The cake looks fantastic, but I can only imagine chocolate and tomato if used very sparingly... I must buy this book! Wow, maybe I am not that adventurous, I haven't paired chocolate with very many of those ingredients. I made a toblerone mouse once which was chocolate and hazelnut with an amazing amount of alcohol but that is about it. Your cake looks absoultely delicious. Nigella has a way of making something decedant to the extreme, and you have certainly done her proud! Also, love Frangelico and have a bottle on my fridge so I think I must at least make the icing! Also have to vote longingly for the chilli & chocolate combo, it's a winner. Wow! That is one gorgeous Nutella cake. Found you thru another blogger, and I'm glad I did. Also love the photo of the cake, as well. Your amazingly beautiful photos of your holiday getaway just "blew me away"...all I can say is...amazing! 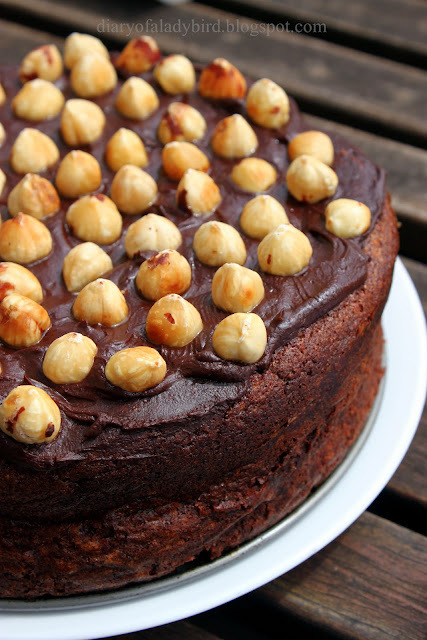 ohgawd ive been dying to make this cake but i never have a full nutella jar in my house! Hi Tammy - I am yet to give chilli and chocolate a go.. must do that some time soon. Hi InTolerant Chef - I know, the tomato/chocolate combo raised an eyebrow with me too.. but it stirs the curiosity, doesn't it! Hi Conor - Oh yes, good idea! HI Elisabeth - thank you for your kind words, and thanks for stopping by! 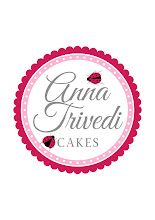 Hi Anna - I hope you get to give it a try - it rocks! Hi Suze - do it, do it, do it - you know you want to! I would eat it even if it was made with two jars of Nutella, it looks that good and moist. Blogger Tag - Who, me?